GLASIER (Glasior, Glazier), BEAMSLEY (Belnsley, Bensley) PERKINS, army officer, land agent, and office-holder; baptized 4 July 1714 at Ipswich, Massachusetts, the son of Stephen Glasier and Sarah Eveleth; m. 17 April 1739 Mrs Ann Stevens at Newbury, Massachusetts, and they had one son and one daughter; d. August 1784 aboard the Nancy en route from Halifax, Nova Scotia, to England. Beamsley Perkins Glasier’s first recorded military service was in 1745, when he served as an ensign in the 5th Massachusetts Regiment on William Pepperrell*’s expedition against Louisbourg, Île Royale (Cape Breton Island). During the siege 40 men signed an agreement “Voluntarily to go on ye attack of the Island Battery . . . Provided Beamsley Glaizer is our Capt, on sd attack.” After Louisbourg’s surrender, Glasier was commissioned a captain in August. Ten years later he again served with the Massachusetts forces, this time as a major in Jonathan Bagly’s regiment. William Johnson made Glasier adjutant general of the provincial forces at Lake George (Lac Saint-Sacrement), New York, that September, remarking that “He is a Very Active and Serviceable man.” Johnson’s opinion was not shared by everyone, for a month later about 45 Massachusetts officers demanded that Glasier and William Eyre* be relieved of their commands, called Glasier a “Murd[erer? ],” and threatened that if the two were not removed “ye Camp Should be too hott for them.” The commanding officers refused to entertain their complaints. Shortly afterwards Glasier became a lieutenant-colonel in the New York regiment. In July 1756 Glasier, now a colonel, participated in a meeting of colonial field officers at Ford Edward (N.Y.) that pointed out the difficulties preventing cooperation between colonial and regular forces [see John Winslow]. 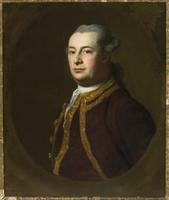 In March 1757 Glasier, while continuing to serve as a colonel in the New York regiment, was commissioned lieutenant in the Royal Americans (60th Foot), a unit especially formed for service in North America; many of its officers were Americans, Germans, and Swiss. In April he was placed in charge of Fort Herkimer (Herkimer, N.Y.). He probably served in the west throughout the campaigns of 1758, 1759, and 1760, although it is related that he visited Quebec to make an exchange of prisoners. There he is supposed to have met his close relative Captain Benjamin Glasier, who had been captured by Indians at Fort William Henry (also called Fort George; now Lake George, N.Y.). In 1760 Glasier was promoted captain. Glasier was one of the principal founders of the Massachusetts outpost on the lower Saint John River that was to develop into the core area of the later colony of New Brunswick. He was a member of a group of army officers, mostly from the 44th and 60th regiments, who decided at Montreal in 1764 to enter into a venture to settle Nova Scotian lands. An association, later known as the Saint John River Society or occasionally as the Canada Company, was formed under the leadership of Captain Thomas Falconer. The association later added members from Halifax, Boston, New York, Philadelphia, and Ireland, and it came to include such officers as Thomas Gage and Ralph Burton*, after whom townships were named, and prominent colonial leaders such as Governor Thomas Hutchinson of Massachusetts and Philip John Livingston of New York. 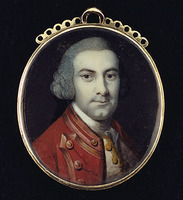 Glasier, the association’s appointed agent, left Quebec in August 1764 to choose suitable lands in Nova Scotia. He arrived at Halifax in late October and, crossing over to Fort Frederick (Saint John, N.B. ), conducted a preliminary survey of the lower Saint John. Impressed by the area, he reported back to his associates that “it looks like a Park as far as ever your eye can carry you.” He returned to Halifax and in December received the Council’s promise that the land would be reserved until the following June. In the spring of 1765 Glasier returned to the Saint John, this time with Charles Morris* Jr, to conduct a more rigorous survey. In April, while he was still there, the region, partly through his advocacy, was erected into Sunbury County. He and Falconer were elected shortly afterwards as its first representatives, but Glasier was never in Halifax when the assembly was sitting. In fact, neither of them took his seat. There was great competition for lands in Nova Scotia, and to get support in the Council Glasier had listed two councillors, Michael Francklin and Surveyor General Charles Morris, as members of the association the previous December. 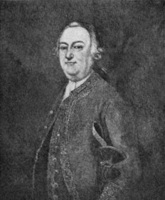 In July 1765 Francklin wrote Glasier confidentially, urging him to complete his selection of land soon because the government was embarrassed at the number of land applicants who were “put off on your acct.” The society had begun work on the establishment of a settlement, having engaged the services of Richard Barlow, a former sergeant in the 44th, to act as its storekeeper; by the summer, tools, six oxen, and supplies had arrived at Fort Frederick for the future settlers. In October the society received from the Nova Scotia government a grant of five townships on the Saint John River, comprising about 400,000 acres. Between 26 July 1768 and 24 May 1770 Glasier served as commandant of the garrison at Michilimackinac (Mackinaw City, Mich.). 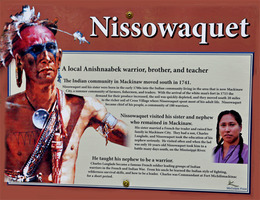 There, in August 1768, he met the Ottawa chiefs, Nissowaquet among them. He was impressed by their demeanour but refused their request for food, pointing out that “they m[ust not] expect he cou’d maintain them in time of profound peace.” He reported that copper deposits in the Lake Superior area were plentiful and of high quality. In June 1769 he recommended to Gage that the fort be moved to nearby Mackinac Island. He was living in Albany County, New York, in 1772 and was promoted major in 1775; during the American revolution he served in the West Indies and the southern colonies as commandant of the fourth battalion of his regiment. In 1778 he was the commandant at St Augustine (Fla) and the next year served at the siege of Savannah (Ga). From February 1780 to October 1782 he was again commandant at St Augustine. Glasier’s battalion then went by way of New York to Halifax, where it was disbanded in October 1783. Although most of the Saint John River Society’s grants were escheated in 1783, Glasier, because he had lost property in Florida and because of his efforts to promote settlement, was permitted to keep his estate and was also given an adjoining grant of 1,000 acres. Just before his death he sold his estate to Major John Coffin*. [Benjamin Glasier], “French and Indian war diary of Benjamin Glasier of Ipswich, 1758–1760 . . . ,” Essex Institute, Hist. Coll. (Salem, Mass. ), LXXXVI (1950), 65–92. BL, Add. mss 21661, pp.28–30. Clements Library, Sir Henry Clinton papers; Thomas Gage papers. Huntington Library, Loudoun papers, LO 1575, LO 1680, LO 2699, LO 4219, LO 4258, LO 4397, LO 5215. Mass. Hist. Soc., Parkman coll. ; St John’s Soc. coll. PRO, PRO 30/55; WO 34/191. “The James White papers,” ed. W. O. Raymond, N.B. Hist. Soc., Coll., II (1899–1905), no.4, 30–72. Johnson papers (Sullivan et al.). [Charles Morris], “The St. John River: description of the harbour and river of St. John’s in Nova Scotia, and of the townships of Sunbury, Burton, Gage, and Conway, lying on said river . . . dated 25th Jan. 1768,” Acadiensis (Saint John, N.B. ), III (1903), 120–28. Muskets, cannon balls & bombs; nine narratives of the siege of Savannah in 1779, ed. and trans. Benjamin Kennedy (Savannah, Ga., 1974), 101, 106n. Old Fort Michilimackinac: reproductions of two maps from the papers of General Thomas Gage in the William L. Clements Library . . . (Ann Arbor, Mich., 1938), 10–11. “Old townships on the River St. John; papers relating to the St. John’s River Society,” ed. W. O. Raymond, N.B. Hist. Soc., Coll., II (1899–1905), no.6, 302–57. 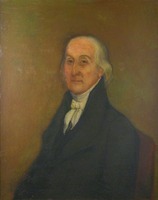 W. H. Siebert, Loyalists in east Florida, 1774 to 1785; the most important documents pertaining thereto (2v., De Land, Fla., 1929; repr., intro. G. A. Billias, Boston, Mass., 1972), II, 63. J. B. Butcher, “Eveleth genealogy” (typescript; copy at office of New England Hist. and Geneal. Register, Boston). G.B., WO, Army list. Massachusetts officers in the French and Indian wars, 1748–1763, ed. N. S. Voye (Boston, 1975). Vital records of Ipswich, Massachusetts, to the end of the year 1849 (3v., Salem, Mass., 1910–19), I, 159–60; II, 186, 567–68. Vital records of Newbury, Massachusetts, to the end of the year 1849 (2v., Salem, 1911), I, 182; II, 193–94, 598. L. M. B. Maxwell, An outline history of central New Brunswick to the time of confederation (Sackville, N.B., 1937). C. L. Mowat, East Florida as a British province, 1763–1784 (Berkeley, Calif., and Los Angeles, 1943; repr. Gainsville, Fla., 1964), 123. W. O. Raymond, Glimpses of the past: history of the River St. John, A.D. 1604–1784 (Saint John, N.B., 1905); River St. John. N. W. Wallace, A regimental chronicle and list of officers of the 60th, or the King’s Royal Rifle Corps, formerly the 62nd, or the Royal American Regiment of Foot (London, 1879). L. M. [B.] Maxwell, “Benjamin Glasier, early settler of central New Brunswick,” Maritime Advocate and Busy East (Sackville, N.B. ), 45 (1954–55), no.8, 11–13. D. Murray Young, “GLASIER, BEAMSLEY PERKINS,” in Dictionary of Canadian Biography, vol. 4, University of Toronto/Université Laval, 2003–, accessed April 26, 2019, http://www.biographi.ca/en/bio/glasier_beamsley_perkins_4E.html.